10. Tiger Stack with Chicken and Tarragon Pie from Aussie Pie Kitchen. Foodwise, there are few things in this world more comforting than meat pies. 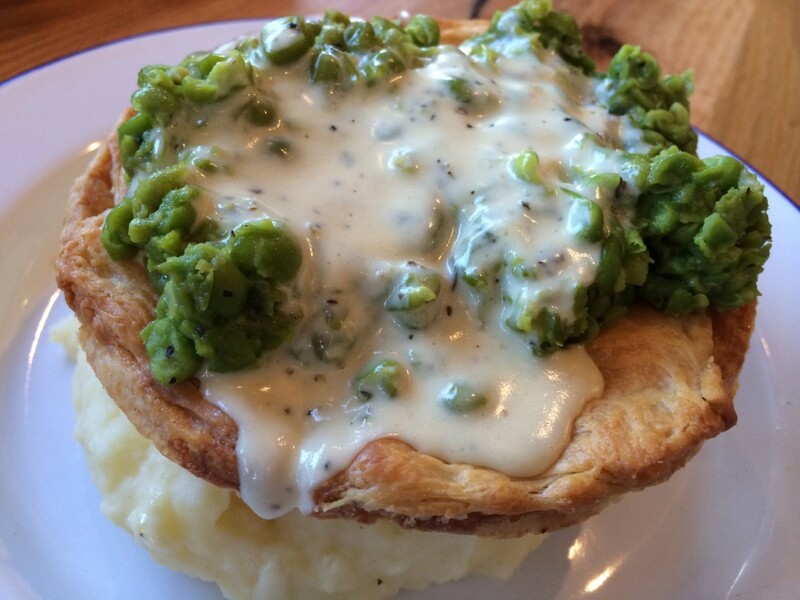 Stack a chicken tarragon one on a mound of garlic mashed potatoes and top it with bacon-laced mushy minty peas and a ladleful of thyme gravy, and let the emotional healing begin! 9. Fresh Peach Stuffed Donut from The Donut Man. This year I went in search of the best donut shops in LA. The research, as you can imagine, was gruelling. 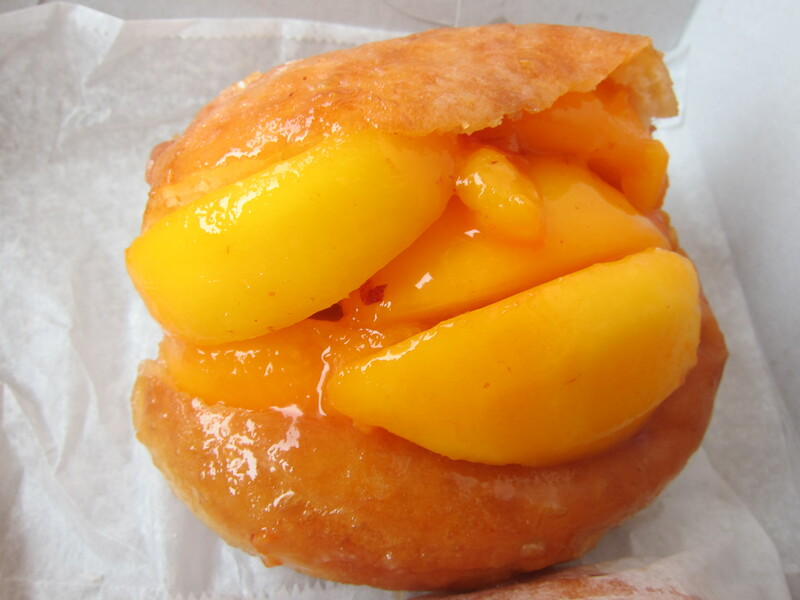 The winner was The Donut Man, a shack located on historic Route 66 in Glendora, whose specialty is an amazing seasonal donut stuffed with either fresh strawberries or peaches. 8. 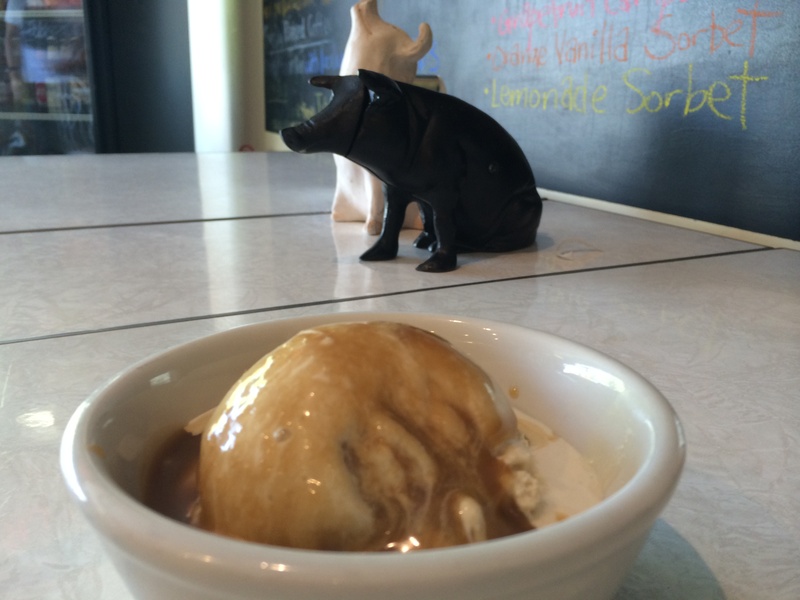 Classic Butterscotch Ice Cream with Butterscotch Sauce from Mother Moo Creamery. This year I also set out to find the best artisan ice cream shops in LA. My top pick was Mother Moo Creamery in Sierra Madre. After sampling all of their flavors (my dedication to this blog knows no bounds! ), my favorite was an insanely good Butterscotch Ice Cream, which was made even better when topped with a rich housemade butterscotch topping. 7. 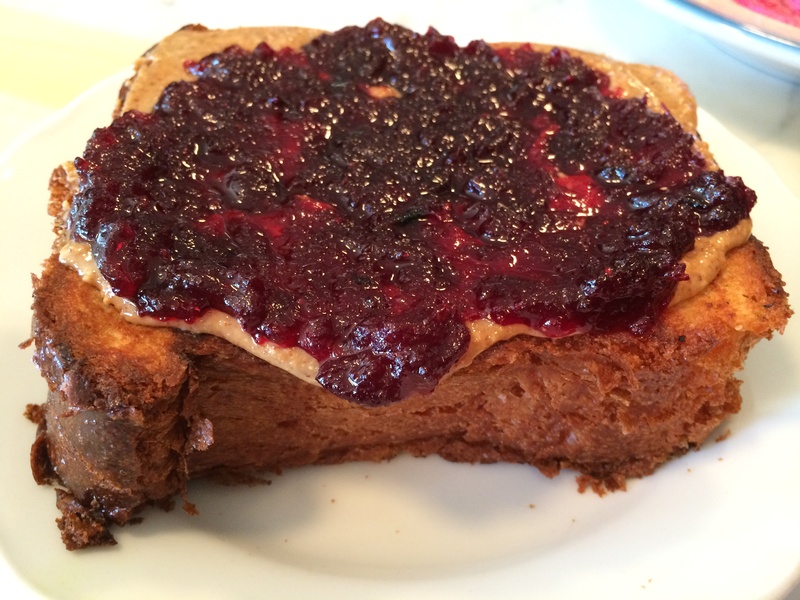 Brioche Toast, Cranberry Bourbon Jam and Nut Butter from Sqirl. Things that are simple but perfectly executed can often be magical. Case in point: the brioche toast with housemade jam and nut butter at hipster breakfast haven Sqirl is pure perfection. 6. Pancotto from The Factory Kitchen. Everything I’ve eaten at The Factory Kitchen has been so good, it’s hard to single out just one dish for this list. 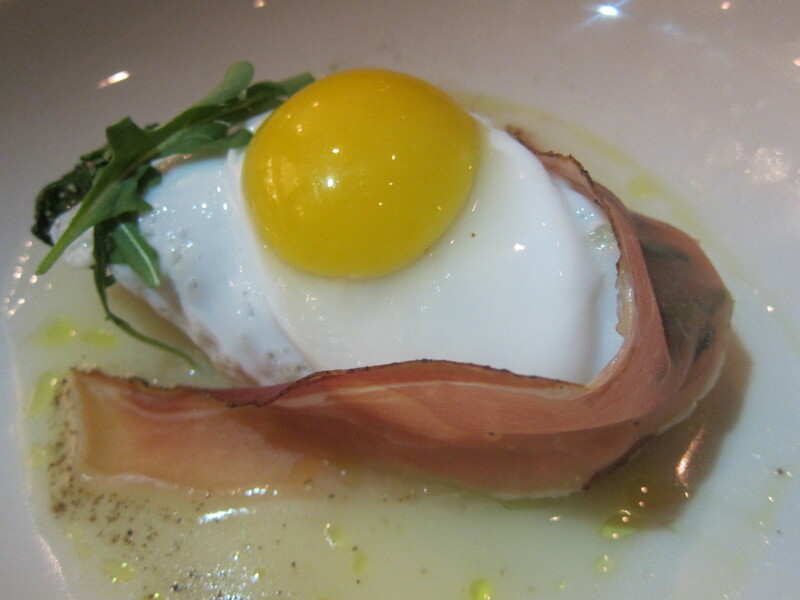 But if I had to pick one it would be this unusual homage to a peasant bread soup with duck egg, red potato vellutata, sauteed greeens, semolina bread crostone and speck. 5. BBQ Spot Prawns from Pot. LA superstar chef Roy Choi’s restaurants in the new Line Hotel in K-town are probably the hippest and most happening eateries in the city right now. 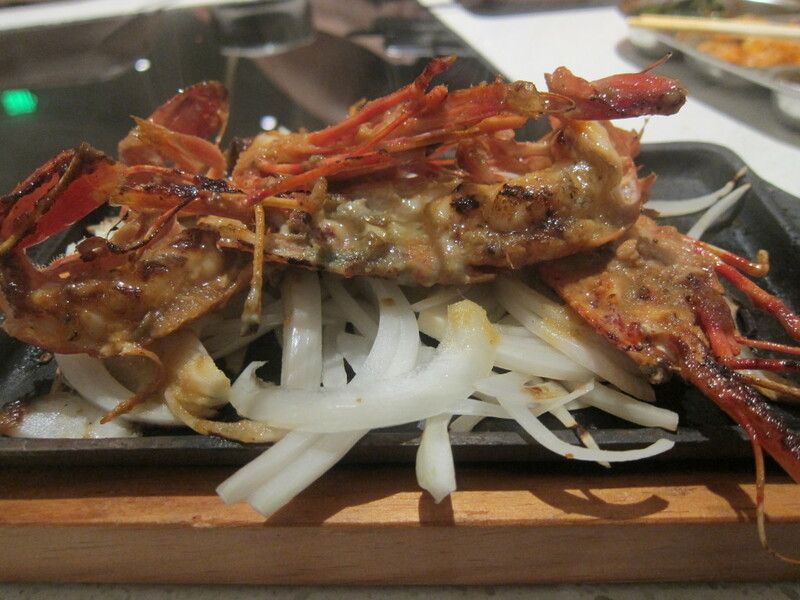 My favorite dish there: these crispy BBQ Spot Prawns which I got to pick out myself before they were grilled and served on a bed of sizzling onions. 4. Uni Pasta from EMC Seafood. 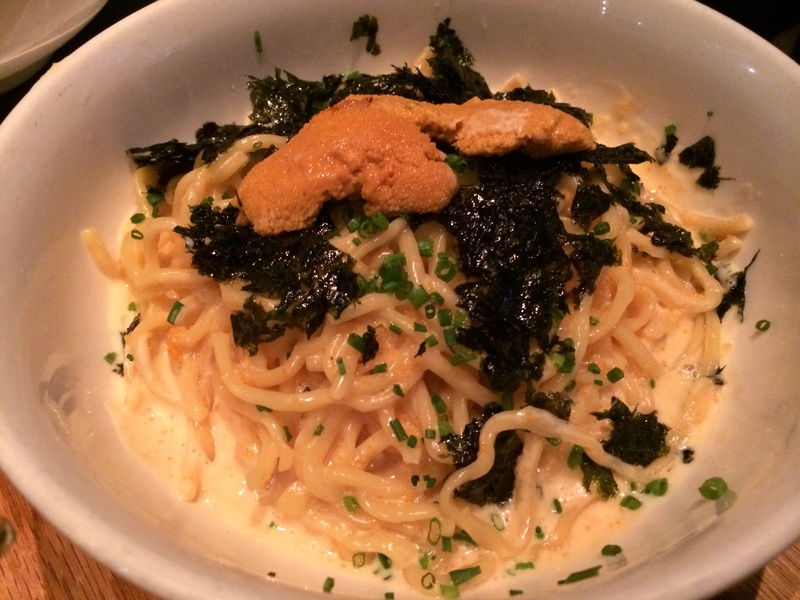 Creamy uni pasta is one of those go-to dishes that I always order when I see it on a menu. The version at EMC Seafood is one of the best I’ve ever had. 3. 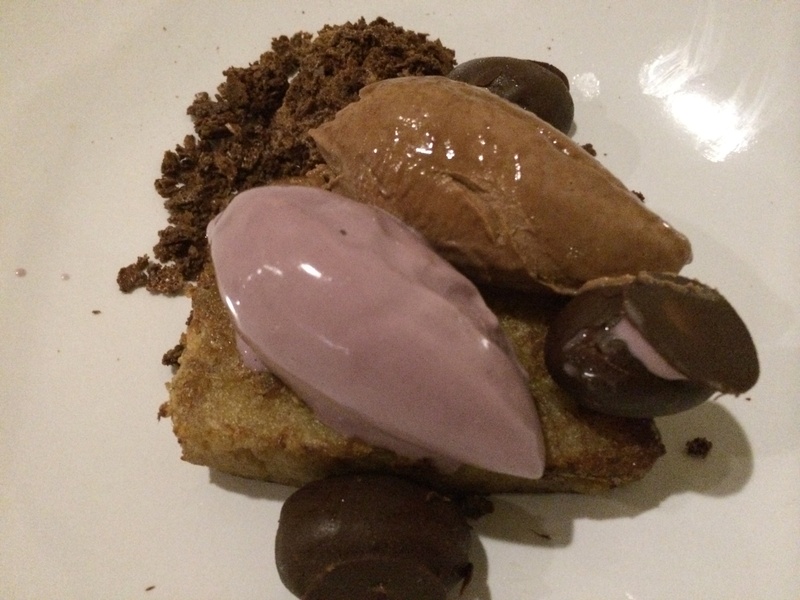 Peanut Butter Ganache, Roasted Grape Ice Cream, Griddled Pound Cake and Chocolate Feuilletine from Saint Martha. If you read this blog regularly, you know how obsessed I am with peanut butter. Saint Martha, one of my favorite new restaurants, has one of the best peanut butter desserts ever. 2. 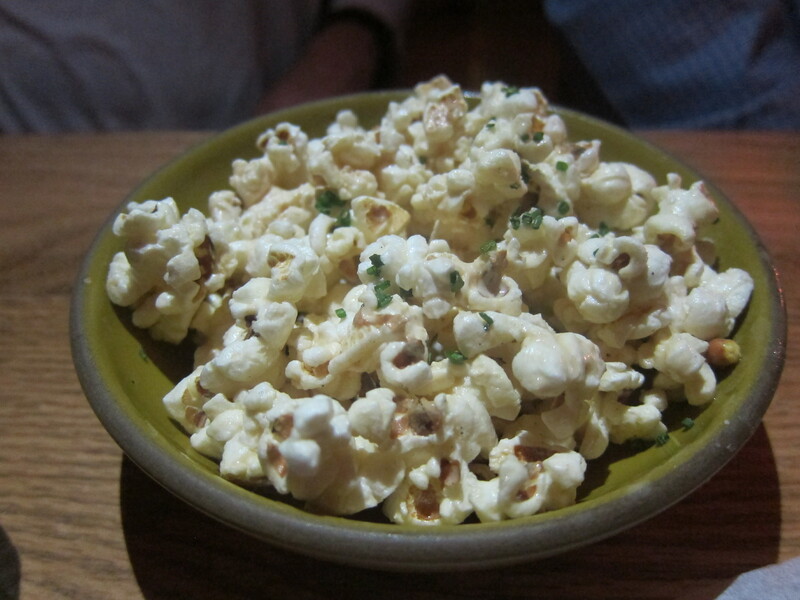 Salt and Vinegar Popcorn from The Church Key. This specially seasoned popcorn is so addictive, it should be regulated by the Federal government. 1. 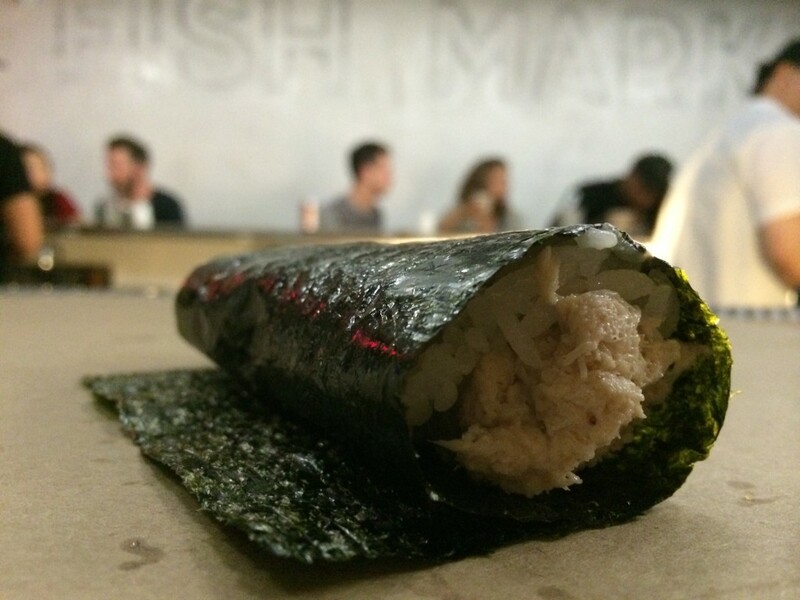 Crab Hand Roll from KazuNori. I am completely obsessed with this hand roll. 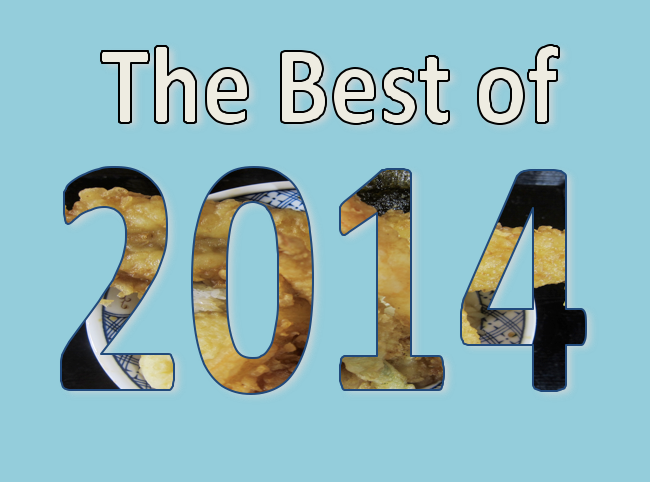 I refer to it as “The Precious.” It is my favorite thing that I consumed and wrote about this year. Thanks for all the tasty tips, Howard! Howard – we don’t know how you find the best tasting stuff in LA, but you did it again with the 2014 list B-R-A-V-O – here’s to 2015! I can appreciate your enthusiasm regarding the fantastic food choices in LA. I confess that I haven’t eaten at any of you recommended establishments, nor have I met any of the owners, but Roy Choi has been an incredible inspiration to me both personally and gastronomically (is that a word?). I have been in contact with him via Twitter several times, which is in and of itself impressive to me, and he has been genuine, friendly, open, charming, funny and compassionate. I’m sure that all of these traits and more show through in his cooking, I know they show through his limited contact with me. I’m also sure that all the others listed are quality people, but I just had to compliment Mr. Choi. Hopefully there are some folks up here in Eugene, Oregon that can be inspired by the likes of you (recognition of quality and the ability to inform others), Mr. Choi and the other obviously talented chefs in LA. Thanks LA for making the West coast the coolest coast. Thanks. Roy is an amazing chef, a visionary and an all around great guy! And I definitely want to hit some of those donut places from your list the next time I’m in LA. Keep up the great reviews in 2015!